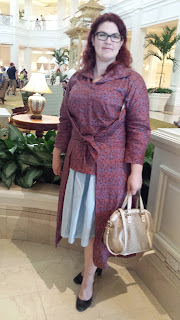 It's time to look back at this year and see what I did. First of all this year didn't turn out in any way what I had planned. Of the projects on my planned list I only finished one of eight. Overall I didn't feel very inspired or productive. A large part was probably due to the fact that I remodelled my kitchen. Not just the time it actually took, but also the planning around it and how it actually took me until the autumn until I had finished putting everything back in the kitchen from my living room, the kitchen was done in March. 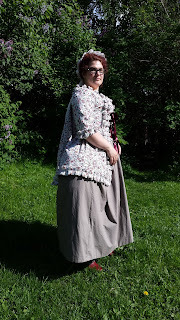 That being said one of the best things that have happened this year was that Cosplay Dalarna evolved into a weekly meeting where you hang around and talk about costuming plans, it has also taught me a lot when it comes to working with different materials, ie anything outside of fabrics. 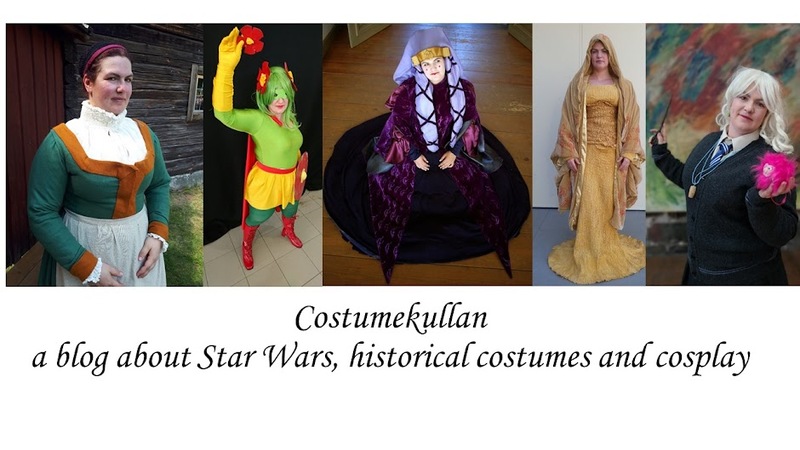 Through Cosplay Dalarna I also came up with some smaller projects that I had no idea that I would make when the year started. Overall this has been a year of making smaller things, but it hasn't felt as fulfilling as a big costume project. Anyway these were my plans. And this is what I actually made this year. A pair of 18th Century pocket hoops. 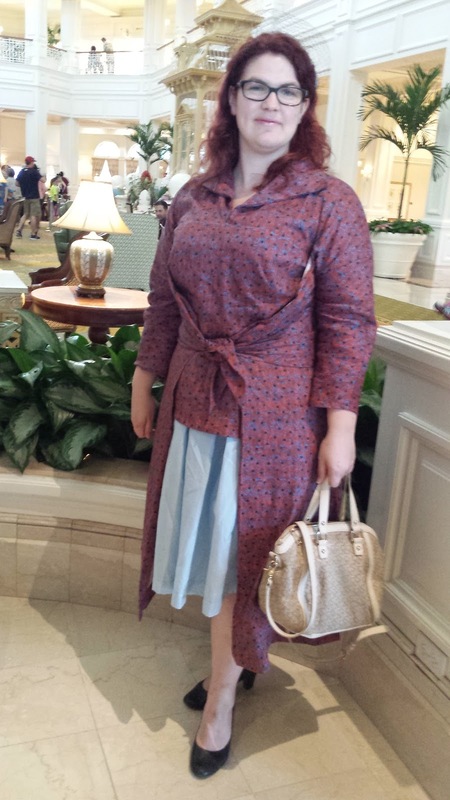 A Queen Amidala vintage style outfit, complete with a hat. 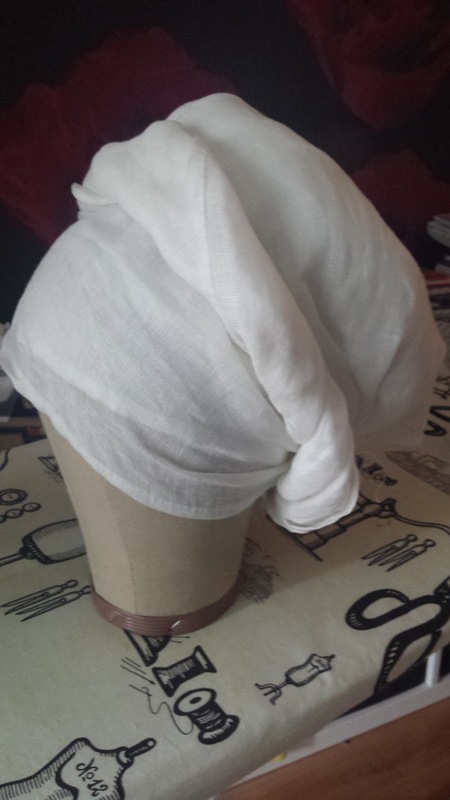 I finished my pet en l'air and made a frilly cap to go with it. 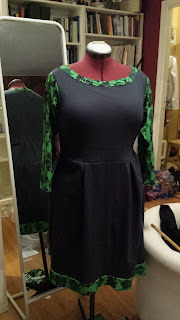 I dyed and added sleeves and guards to make my 1520s undergown look like a proper outer gown. 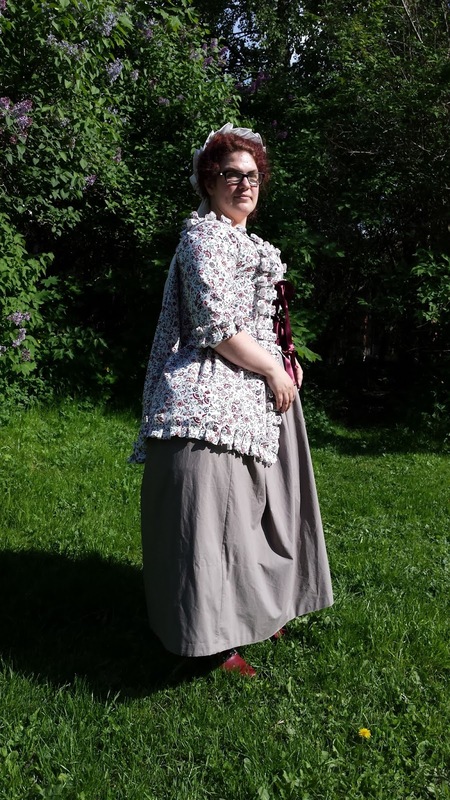 My favorite part of this outfit was the wulsthaube and veil that I made, I also made a hat but that was more of a failure. I loved my wulsthaube though, and it's probably my second favorite piece of the year. 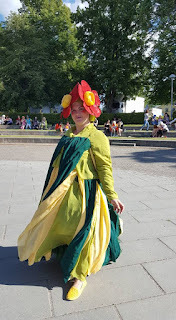 Then it was time for my craziest project of the year, when I made Pokémon cosplay, and walked around NärCon as Bellossom, I even finished second in the Pokémon cosplay contest. The Pokémon cosplay didn't end there, instead I also made a superhero/Pokémon mashup and went to Comic Con Stockholm as Bellossom-Girl. 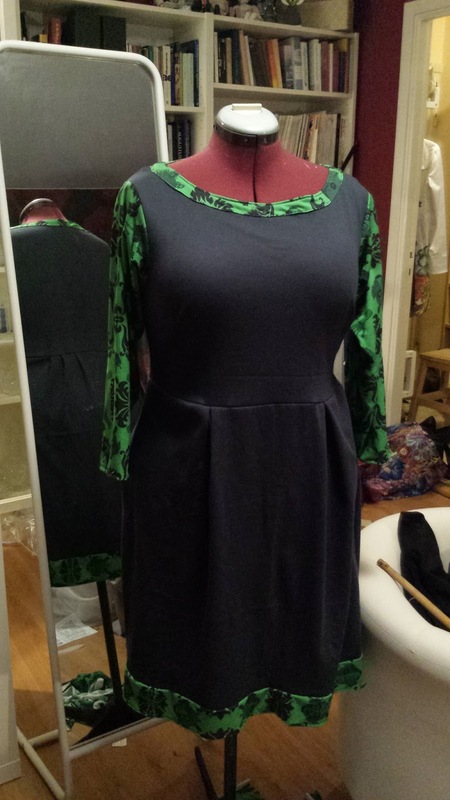 I made my second fandom fashion piece as well when I used the leftovers from my Greedo dress to make what I call my little Greedo dress. 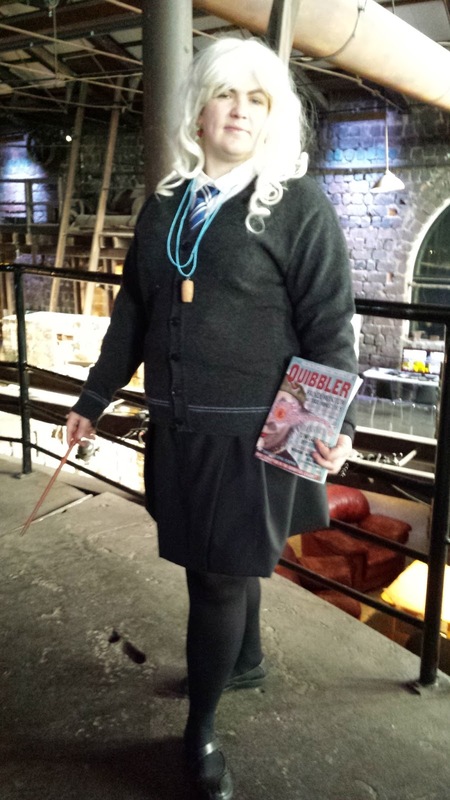 On a whim I also decided to throw together a Luna Lovegood costume in October. The year, just like the last two years, ended with a new Star Wars when I made my The Last Jedi Leia in time for the premiere of the film. 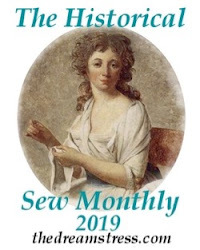 This felt like my only big project this year, and it felt really good to go so wholeheartedly into something, including patternmaking, wigwork and making the jewellery. 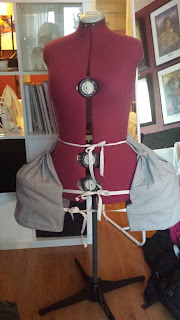 So looking back, maybe I wasn't as unproductive as I felt, it was just that most of my energy was spent on smaller, fun and non-accurate projects. I felt that this year I have mostly learnt some smaller craft things, like beading the jewellery for Luna Lovegood and working more with worbla, I also managed to style a wig successfully for the first time.